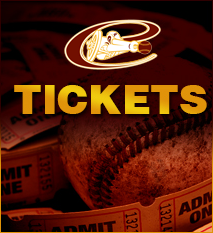 PURCELLVILE, VIRGINIA-- Since losing to Waynesboro on June 26th, the Cannons have won 5 of their last 7 games and moved into fourth place in the Valley League's North division with a 5-4 victory over the Staunton Braves on Wednesday night at Fireman's Field. In addition to the win, New Market lost to Winchester, 6-1, allowing Purcellville to leapfrog the Rebels into the fourth and final playoff spot in the division. After tossing a complete game in his last start-- June 27th vs. Charlottesville-- right-handed starter Brandon Caples once again authored another quality start, allowing just three runs over seven innings of work to improve to 3-2 on the season. In five starts this summer, Caples leads the team with 38 innings pitched and 21 strikeouts. Second baseman Eriq White and first baseman Wade Arduini led the Cannons' offense on Wednesday. White knocked in two runs with a pair of RBI singles and Wade Arduini tallied a team-high three hits including an RBI double in the fourth inning to score White and give Purcellville a 3-2 lead. There were only two errors combined in the matchup, but the blunder committed by Staunton first baseman Andrew Kowalo proved to be the difference maker. With two outs and two runners in scoring position in the bottom of the fifth, Andrew Zban's ground ball was routinely hit to second baseman Marcus Rodriguez, but his throw to Kowalo simply slipped off the Liberty University product's glove and allowed Ray Hernandez and Onassis Matos to score and give Purcellville a 5-2 advantage. The Braves chipped away with a run in the sixth off Caples and an RBI double by Connor Crile off All-star reliever Tyler Yancey in the 8th, but Cannons' closer Will Reed shut the door in the ninth inning to record his third save of the summer and give his team their 10th victory. Staunton starter Eric Harp fell to 0-4 on the season, allowing five runs (three earned) over just 4 1/3 innings. Now in the thick of the playoff hunt, the Cannons (10-17) will look to increase their lead to 1.5 games on New Market when they travel to Rebels park on Thursday. LHP Zach Sloan is coming off his best performance of the year, a 7-inning shutout slate of the Woodstock River Bandits on June 29th in a 15-4 Cannons' victory. He is 1-1 with a 2.84 ERA this season. 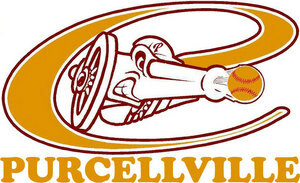 Purcellville is 1-2 against the Rebels this season and 0-2 on the road. For New Market (10-18), RHP Alex Hicks (0-3, 7.02 ERA) gets the nod and has struggled in recent outings. In his last start on July 2nd, Hicks allowed seven earned runs over a 2-inning span in a 14-8 loss at Harrisonburg.